Model Adventure Park is located near Ashramam, 2km away from KSRTC Bus stand, Kollam. Both children and adults can have some entertainment here. Very good facilities are arranged here in the park. 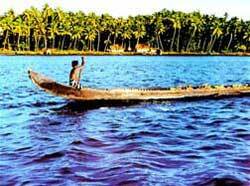 The place known as picnic village is the main centre of recreational activities in Kollam. A 200 year old Government Guest House, and an adventure park, a tourist boat club, a children's traffic park and Yatri Nivas are all housed in this vast tourist complex. Asramam picnic village is located in the 48 acre Guest House Complex. Different types of boats like luxury cruise boats, power boats and motor boats can be taken on hire from the boat jetty near to the Adventure Park.